What is Asp.net MVC? Its advantages and disadvantges. Introduction: In this article I will explain what is Asp.net MVC? Its advantages and disadvantages. In the last article I have explained How to bind gridview data control in Linq, How to integrate Captcha in asp.net, How to create Contact Us page in Asp.net and What is Scaffolding in Asp.net MVC?. 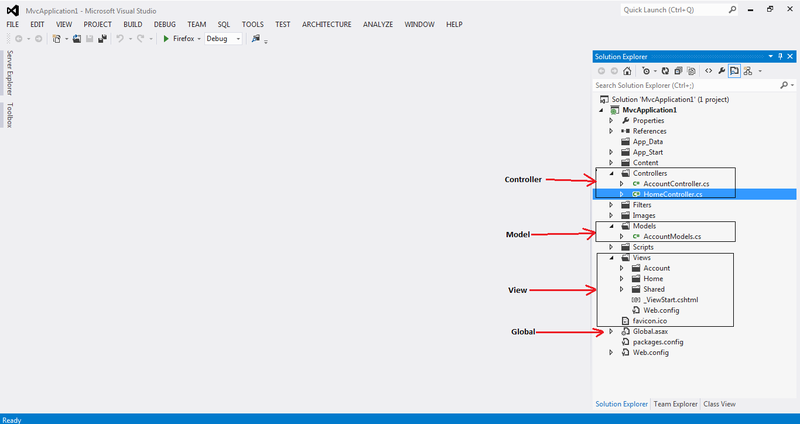 MVC stand for Model, View and Controller. MVC used to develop web application and application is more SEO friendly. Model: It represents and responsible for managing the Database of application. Model is used by Controller and View when changes are done in database state. Model transfer the all required information to View e.g. validation etc.. In MVC application Model has a folder named Models and by default stored in it. Model contains the .cs files. View: It represents the User interface of application and responsible to display data to end users. View is created from models and gets information from Controller to display. In MVC application View has a different folder named Views and by default stored in it. 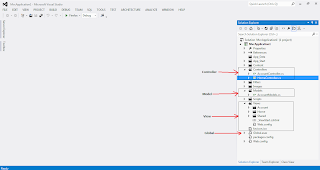 Views contain the .aspx or .cshtml (C# Razor)/.vbhtml (VB Razor) page to display. Controller: It represents the logic of application. Controller access model class to pass information to view. In Controller class action methods are written. Controller handles the all end users interactions. In MVC application Controller has a folder named Controllers and by default store in it. Controller contains the .cs files. 1. In MVC application there is clear outline. Application is separated into model,view and controller. 2. MVC don’t support the view state, so it increases the performance of application. 3. MVC have the features of URL routing. 1. MVC is increases complexity of programming/implement. 2. Not able to use Asp.net controls.